Choosing a countertop for your bathroom or kitchen that fits your lifestyle is one of the most important home design decisions you will make. Your kitchen counter is a work surface that is used daily, and should be truly functional and easy to maintain. A plethora of options is available, including numerous surface types and styles. In addition, such factors as appearance and durability can influence your choice. 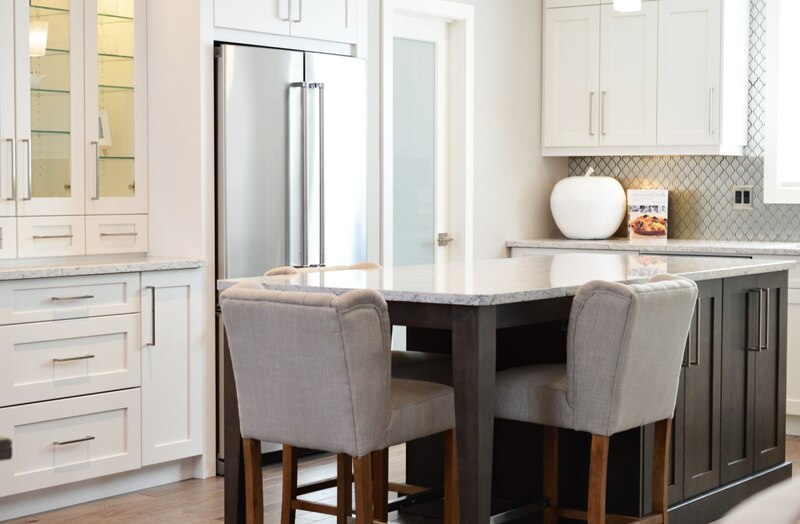 When you are looking for an exclusive countertop store near Waco, make sure to see a professional countertop contractor at Gibson’s Interiors. We provide installation services and have a certified decorating consultant on staff to assist during the design process. Solid-surface countertops, such as Corian, are available in matte, or polished finishes. They mimic the look of marble and granite without visible seams. Even though it is manufactured from plastic or acrylic, it is still a highly desired option. One main advantage is that when used for sinks, backsplashes and countertops, it appears as one uninterrupted surface. Numerous edge options are available, some of which include classic, full bullnose and double-bevel inlaid. Multiple color choices make this type of material the top choice for many homeowners and designers. The process of constructing laminate countertops involves gluing a high-pressure laminate sheet to a substrate. It exceeds food and housing industry standards for wear, sanitary requirements, impact, and scratch and stain resistance. Laminate is a cost-effective, long-lasting and attractive choice for budget-minded remodelers. There are multiple types of finishes in a wide range of colors to match your design style and taste. It is simple to clean and does not produce germs or bacteria. The large color selection, coupled with versatility and affordability, makes it a popular selection for laundry rooms, offices and workshops. Gibson’s Interiors is a flooring store that also sells bedding, athletic surfaces, draperies, shutters, carpet and rugs.